"Wonder Park" seems like it was conceived as a writing exercise: come up with the most agreeable premise in the world and then screw it up. This is a movie that dares you - dares you - to dislike it. Go ahead and dislike an animated film largely set in a giant amusement park of the main character's creation where all the rides are fun and unique. Go ahead and get mad at the supporting cast of cute furry mascots. 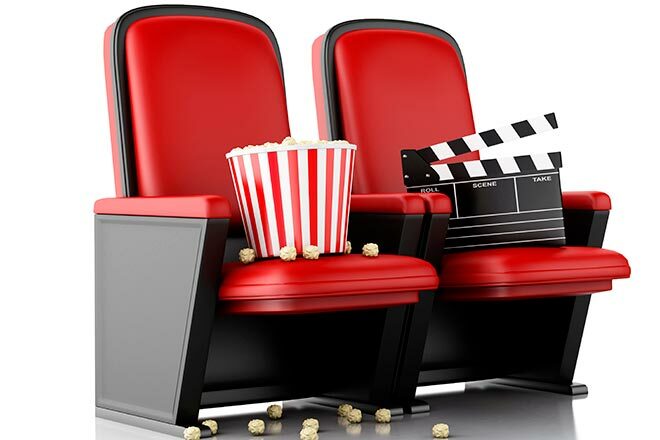 Go ahead and get mad at the film's promotion of creativity and its message to cherish the best parts of a relationship with someone who may be gone. All of these elements should make for an excellent family adventure, or at least a passable diversion for the kids. Instead we get a film that squanders one opportunity after another to do so much as entertain. The film opens with our young protagonist June (Sofia Mali) planning out an amusement park with her mom (Jennifer Garner). June wants the park to be real, so she sets up an extremely dangerous roller coaster in her yard. The experiment causes rampant destruction, and June is only allowed to continue building her park using unrideable models. A few years pass and the mom gets sick, so sick that she has to move to a faraway treatment center full time. With her park-designing partner gone, June decides to leave behind childish things and devote herself to making sure nothing bad happens to her father (Matthew Broderick). He insists that he can take care of himself and sends her off to camp, but she can't bear to leave him alone and ditches the bus when it has to make a stop. I found it incredibly bothersome that not only does June not consider how running away will affect the people at the camp, but nobody even thinks to give them a call once she finds her way back to civilization. In the middle of the woods, June stumbles upon a car on a track. It looks like the car to a roller coaster. She gets in, and the car whisks her off to the very amusement park that she and her mother designed. Could it be that the fantastical land is real? Not really, but apparently June is stuck in a hallucination until she learns a lesson. The park is in danger from an army of stuffed souvenirs run amok. The only beings capable of saving the land are June and the park's mascots, who, like June, have lost their sense of wonder. Boomer the Bear (Ken Hudson Campbell) has grown lazy, Greta the Boar (Mila Kunis) is hardened and cynical, Steve the Porcupine (John Oliver) is cowardly, beavers Gus (Kenan Thompson) and Cooper (Ken Jeong) are always fighting with each other, and leader Peanut the Chimp (Norbert Leo Butz) has disappeared entirely. If the team wants to save the park, they'll have to get creative, think positively, and of course, work together. The biggest problem with "Wonder Park," aside from its many loose ends and unfunny jokes, is that the storyline with June losing her sense of wonder is at once underdone and overdone. It's a heavy, crucial part of the story, and some members of the creative team clearly wanted to give the subject matter the respect it commands, but the rest of the team just wanted to work on designing the park itself. The result is a tonally-inconsistent mess that needed better decisions in leadership, which can be explained by the film's director being fired by the studio for inappropriate conduct and not replaced. 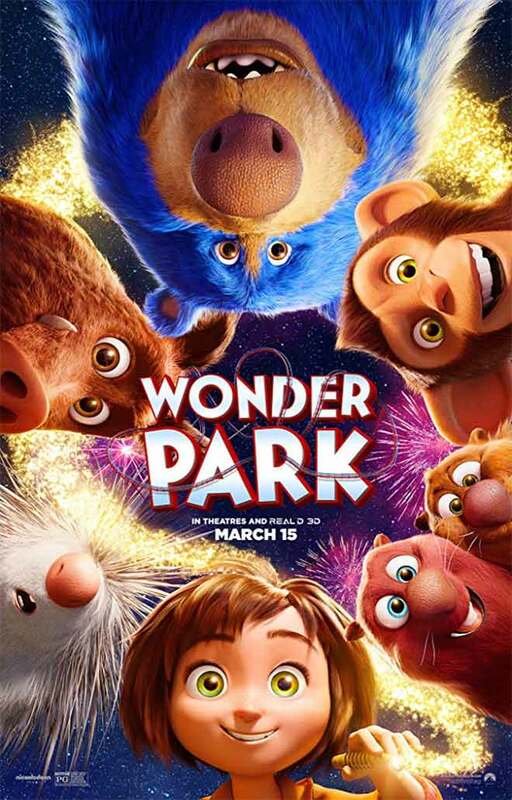 The film was dumped out on a weekend where it was sure to lose to "Captain Marvel," and I suggest you follow the studio's lead and treat "Wonder Park" as an also-ran. I do want to go in that bounce house, though. "Wonder Park" is rated PG for some mild thematic elements and action. Its running time is 85 minutes.